We have watched them grow up in front of our eyes over the past eight years. They have been our first daughters living their lives under a microscope without incident, scandal or headaches for the White House. Now, they stand poised to start their own futures, which is no doubt bright and full of promise. 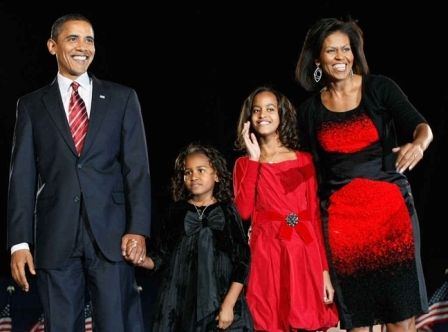 We remember, love and salute Malia and Sasha Obama. –Before the family moved to Washington in 2009, both girls attended the private University of Chicago Laboratory School. –Aside from school, the two girls had a daily routine of piano and tennis lessons. 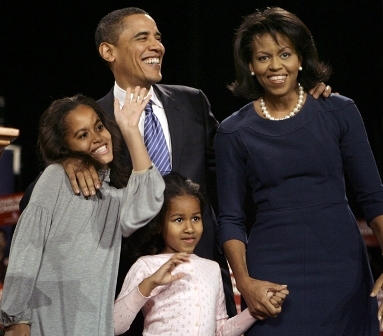 Malia played soccer and participated in dance and drama while Sasha, practiced tap dance and gymnastics. –Their favorite foods are fried chicken and macaroni and cheese. –Malia spent the summer of 2016 working as an intern in the U.S. Embassy in Madrid, Spain. –Malia interned on the set of HBO’s “Girls” and on a now-canceled network TV sci-fi drama that starred Halle Berry. 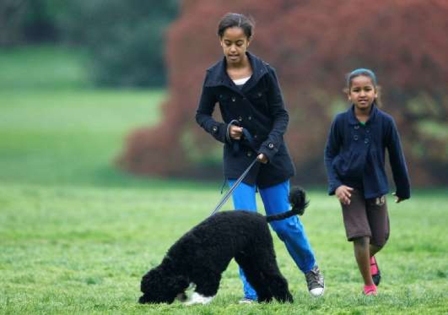 –Malia has also had internships at the Smithsonian’s National Zoo in Washington. –Sasha was the youngest child to live in the White House since John F. Kennedy Jr. arrived as an infant in 1961. –Sasha started working at Nancy’s, a seafood restaurant in Martha’s Vineyard, Massachusetts. All the best to our FDFs! 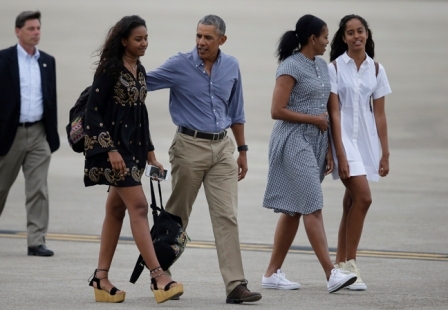 We love you Malia and Sasha!